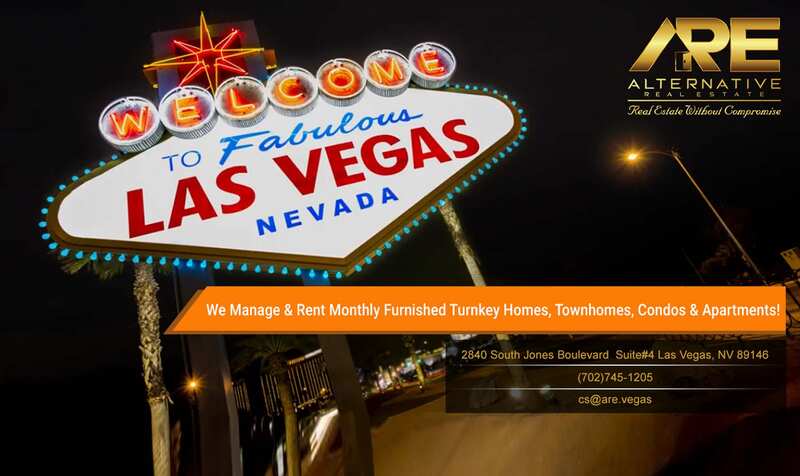 Alternative Real Estate is a Full Service Brokerage that specializes in leasing furnished turnkey homes and condos. Unlike traditional brokerages we have vast hospitality experience and background to ensure our homes are marketed and prepared precisely to ensure guest and owner gratification. If you’re looking to rent, whether you’ve just moved, are on a business trip, dealing with fire or water damage, temporarily relocating or just taking an extended vacation, Alternative Real Estate will help you find the perfect short-term housing solution. Alternative Real Estate offers a variety of temporary housing options depending on your needs, including corporate apartments, furnished apartments for rent, privately owned houses, condos and vacation properties. Begin your short-term rental search today and discover your home away from home. Owners and Investors rely on our professional services to handle ALL of their management needs including Marketing, Screening, Application Process, Rent Collection, Inspections, and Maintenance either emergency, requested, periodic, or preventative. If you are not yet an Owner or Investor and are preparing to make an investment in Las Vegas during this exciting time, our experienced Licensed Real Estate Agents can assist you with identifying the perfect income producing property. Our staff is at your service 24 hours a day, seven days a week to address all of your property-related concerns. Simply click on the “Contact Us” tab to reach out to the Team today to find out how Alternative Real Estate can make your Real Estate experience an outstanding one.